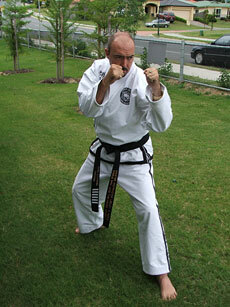 Les Hicks is the Grandmaster, Chief Examiner & Founder of Shim Jang Taekwondo. Thanks to Les's dedication to the art many of these Black Belts have gone on to become very successful instructors within the Shim Jang Taekwondo organisation. 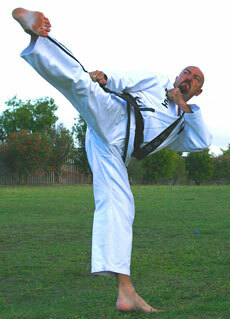 Since the early 1980's Les has become increasingly more involved in the Promotion, Establishment and Development of Taekwondo throughout various area's around Australia, New Zealand and Internationally, he is also responsible for developing and introducing specific Taekwondo training programs to many Public and Private Primary Schools and High Schools throughout NSW & QLD. Hundreds of children are now reaping the many benefits that Shim Jang Taekwondo has to offer thanks to Les's dedication to the art. 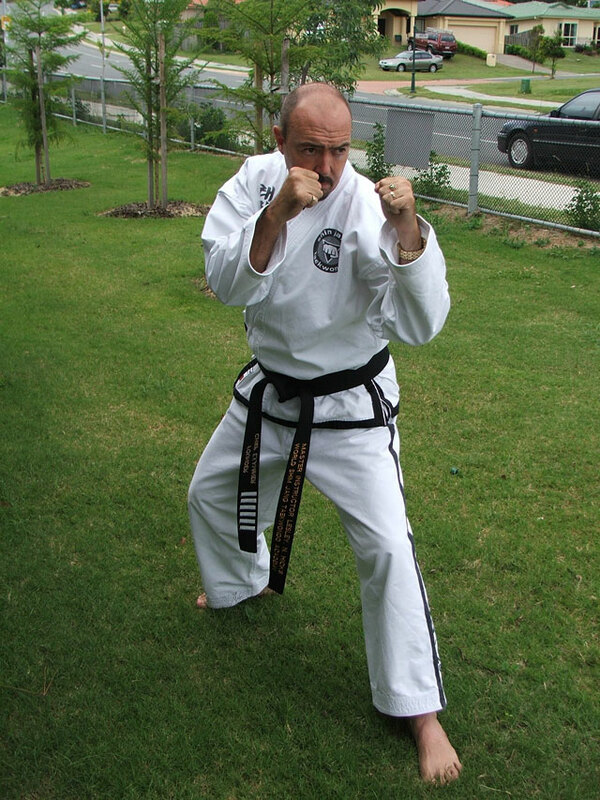 Les began Studying the Art of Taekwondo in the late 1970's and really got serious about the arts growth and expansion in the early 1980's he became an instructor in 1982 and by 1985 he was teaching and promoting the art of Taekwondo fulltime in the NSW Hunter Valley area. The years passed quickly and Les began to open more centres throughout the area firstly at Bellbird and then Ellalong, Kurri Kurri, East Maitland , Woodberry, Metford, Thornton, Maitland, Paterson, Paxton, Abermain, Rutherford and many more. After 10 years Les had established himself as a recognised Martial art leader with many loyal, dedicated and expert Instructors keen to follow his teachings and assist him with the Arts expansion. Even more centre's were being established and by now hundreds of students were enjoying the many benefits that quality Taekwondo training has to offer. 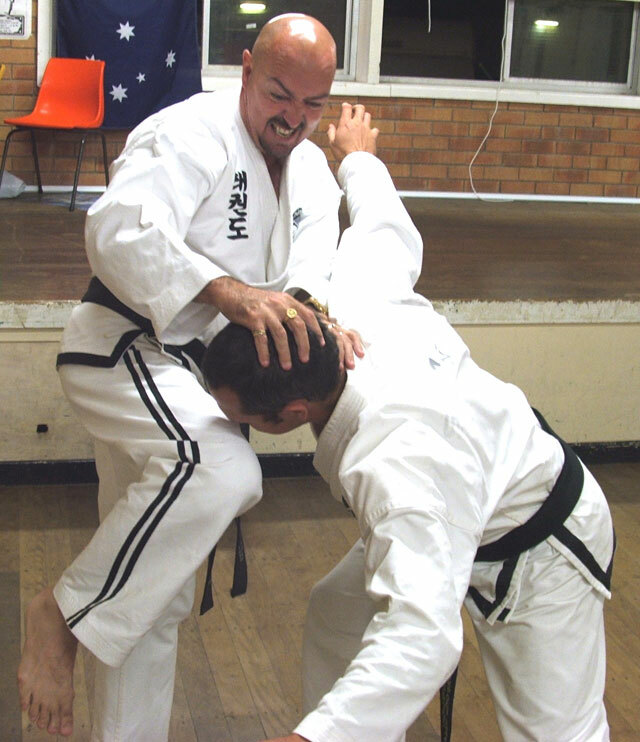 In 1995 Les decided to further expand his Taekwondo knowledge and experience by introducing the art to other Australian States and on the 1st of January 1996 Les and his family relocated to Tweed Heads on the Northern NSW / QLD border to further this expansion. 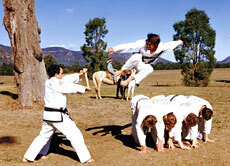 Les then set about the task of establishing and expanding what is now one of the biggest Taekwondo styles in Australia. The initial growth was limited to the Tweed Heads, Palm Beach and Burleigh Heads area's with trainee instructors being prepared for the future establishment of more centres throughout the lower Gold Coast area. In those days the development of the art in the region was limited by the availability of experienced Instructors and the fact that Les was required by necessity to teach fulltime to meet the arts growing needs. Since mid 1998 thanks to Les's drive and dedication the art has experienced a more rapid rate of expansion and development. By now several of Les's more senior students were appointed to assist in the many promotional activities required such as Demonstrations through school and community centres and teaching Taekwondo at various primary and secondary schools throughout the area. At the same time Les was busy establishing additional training centres further up the coast and directly recruiting new members. By 1999 Les and his dedicated group instructors had established over 30 training centres throughout the Northern NSW, Hunter Valley and Gold Coast regions. 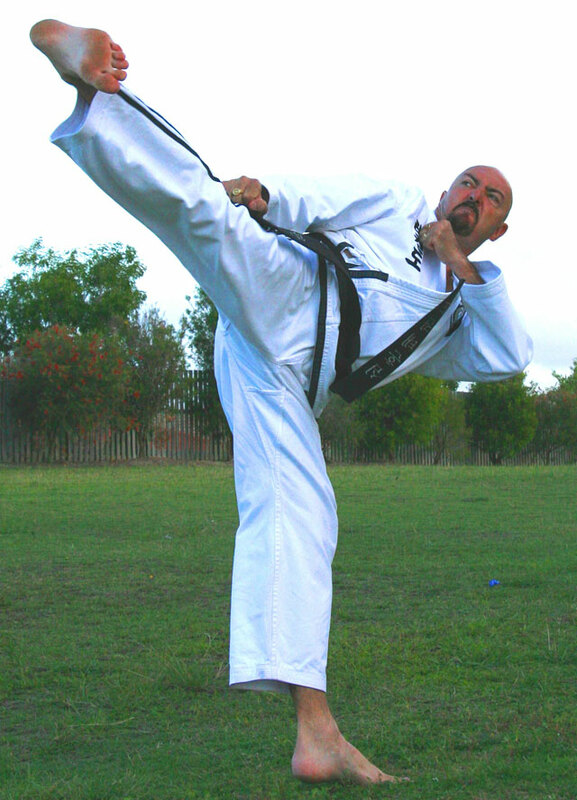 Since the beginning of the 21st century SHIM JANG Taekwondo has experienced massive growth and by the end of 2003 the World Shim Jang Taekwondo Academy had expanded into other States of Australia and overseas. To this day Les still teaches the "original" Chan-Hon Tae Kwon Do style that he has dedicated himself to since the late 1970's. Fast, powerful, effective self-defence is what Shim Jang Taekwondo is all about and Grandmaster Hicks insists on strong, fast, dynamic technique. This dedication to the "original way" has significantly contributed to Shim Jang Taekwondo's amazing success and growth throughout Australia and New Zealand. Les's insistence on technical excellence will ensure the arts future growth and success as he leads Shim Jang Taekwondo into the 21st century but Les's personal success however is not entirely due to his extraordinary level of Discipline, Perseverance and his vast knowledge of Shim Jang Taekwondo. Les's caring attitude towards his students and his genuine belief that all people can benefit from regular Shim Jang Taekwondo training give him the strength and conviction to ensure that Shim Jang Taekwondo remains a quality style and a worthwhile self defence activity for everyone to enjoy. After well over a quarter of a century of growth and development the W.S.T.A is now an internationally recognised Martial Art Governing Body that is overseeing the ongoing growth and success of Shim Jang Taekwondo around the world. Shim Jang Taekwondo now boasts a vast array of highly experienced Master, Regional, Branch and Trainee Instructors as well as a massive network of Black Belt Dojang Assistants that have accumulated a vast knowledge of the art of Shim Jang Taekwondo. These Instructors have been specially trained, licenced and officially appointed to their position by Grandmaster Hicks personally, their caring nature, dynamic technique and overall teaching professionalism ensure that Shim Jang Taekwondo remains one of the most respected self defence arts available to the public. All Shim Jang Taekwondo Instructors are very keen to pass on their knowledge to our next generation of Martial Artist's and as time goes by Shim Jang Taekwondo will continue its expansion as more and more people look forward to attaining the many benefits associated with regular training in this fantastic martial art. Les is also a keen motorcycle enthusiast and enjoys what little spare time he has by escaping on his bike when time permits.